Yep...the formula is that simple...add some love, combine it with Unity stamps and you get friends with flair. Not just just with flair, mind you...these friends are loving, fabulous, kind hearted, talented....I could go on and on. I have "met" some pretty spectacular people through this special, one day a week customer blog hop. I am trying to follow as many of your blogs as I can. It may take me awhile though because there are a lot of you :) Just wanted to give you each a quick shout out to let you know that I appreciate you!!!! Now, on with the flair!! The card I made for today was for the Outlawz challenge (here: http://outlawzchallenges.ning.com/group/sundayscleanandsimplecas/forum/topics/cas-challenge-january-15th) to use bakers twine and is based on a sketch from the CAS class (here: http://www.onlinecardclasses.com/cleansimple/classinfo/). Patterned Paper: Reminisce "Love Infinity"
Motivated or not. This is a purdy card. Very cute. And love the clear button - nice touch. Love your card, Pryn! The CAS style is very striking! Love the little clear heart and twine! Hugs to you, my sweet DT sistah! 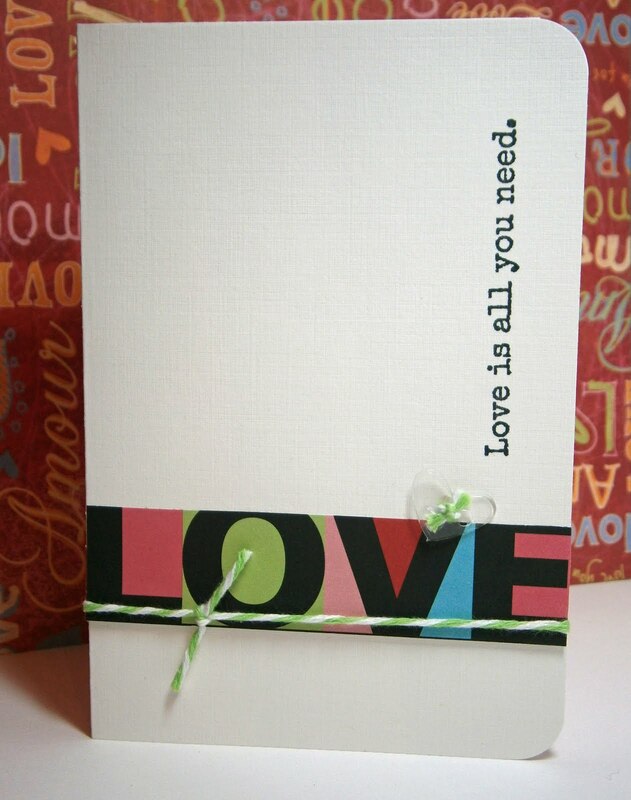 Fantastic card, I really love the Love going across the card and the vertical sentiment! So pretty and striking! Beautiful job! I didn't know you could make buttons with Crop-A-Diles. Learn something new everyday! Your card is so beautifully simple! Sweet and simple. Love it. How's BadaBing doing these days? Jem and Atticus say hi! This is a really nice card. 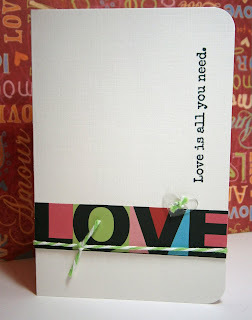 Love this CAS card, it is fun and I love the clear heart embellishment. What an awesome card, Pryn! I love the CAS design. I really like the sentiment (haven't seen that one on a card yet). The handmade button is fab--you go! I love it! Such a great CAS Card! Love the clean graphic look of this! So striking! Oh my gosh This made my heart go a thumping! This is LOVE dear! FAB FAB FAB! seriously love it!!! what a great graphic card. Pryn, love your card. It is just so pretty. Luv ya sweetie.